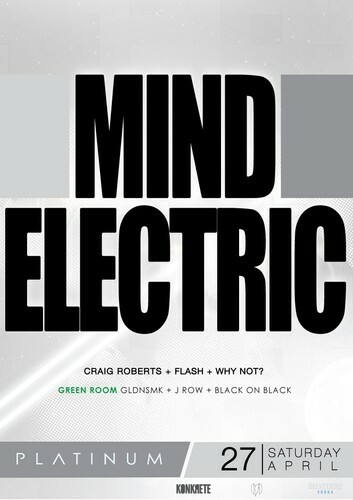 Kristian Jackson, the mastermind behind Mind Electric, was discovered by the Vicious Label directors John Course and Andy Van (Vandalism, Madison Avenue) after his 3 year stint in Europe, where he rocked clubs in Hamburg (Germany) and Stockholm (Sweden).He first made his mark in 2006 with his debut single Dirty Cash followed by many huge club hits such as Electrify and Infinity. His most recent single Rock da house made it into Laidback Luke’s top 10 and his collaboration with ‘The Cut’. Mind Electric is the first ever artist to receive full permission from, The KLF band members to pay tribute to their epic club anthem. M.E’s remixes have played a vital part of his success with his standout mixes of ‘To the Beat of the Drum’ (Tribal Kings) , ’Right in the Night’ (Sgt Slick) and ‘She Got it’ (Vandalism & Angger Dimas) getting hammered by the likes of superstars Kaskade and Laidback Luke in clubs worldwide and to festival crowds of 80,000+. His ‘in demand’ productions have recently seen him pump out remixes for chart topping Ian Carey, Static Revenger and Luciana, Stonebridge and new releases on Neon Records.Not only has his productions been off the Richter but his DJ sets have been on fire too, using a large arsenal of his own productions and countless private bootlegs giving him a sound he can truly claim as his own. He is regularly welcomed behind the decks of some of Australia’s best clubs including a monthly residency at Sydney’s infamous ‘The Rouge (Moulin)’. This past summer saw Mind Electric playing at almost every major dance festival on the west coast along with gigs in Kuala Lumpur, Malaysia. With 3am Eternal soaring up the Aria and Beatport Charts and more releases, collaborations and remixes on the way expect to see the M.E brand plastered around clubland this year. For guest list attendance please phone or email info@platinumnightclub.com.au. Please note names must be received no later than 4pm Friday.